On Monday we had a special visitor at school. Lauren Boyle has signed on as the ambassador for Water Safety New Zealand’s school pool campaign. We are campaigning to save our school pool with the help of some dedicated parents. 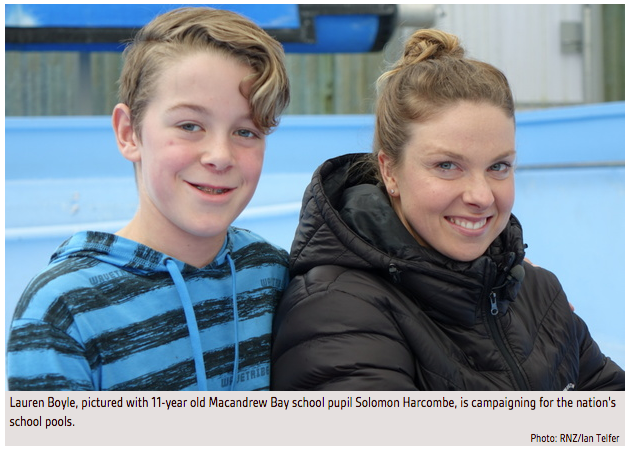 Solomon Harcombe (Yr 6 ) wrote a powerful piece of persuasive writing that was picked up and published by the ODT. Water Safety NZ got hold of it and published it on their website. Next thing we know Lauren Boyle was at our school to support the voice to save our school pool. The story has been told on National Radio and One News. This entry was posted in Uncategorized on August 26, 2015 by macbayschool.